Many of Turkey's visitors come here for a relaxing, sunny break against the backdrop of the Mediterranean, the Aegean or the Black Sea. Turkey is a great sun, sea and sand package holiday destination but it's a whole lot more besides. Turkey oozes with this region's most dramatic history and is richly decorated with the treasures of Rome, the Byzantines, the Ottomans and a dozen other colonisers and visitors. Some of the ancient world's greatest sites and cities are now some of the best places to stay in Turkey. Turkey's landscapes are also a reason to visit. The alpine crags of the north east border near Georgia and Armenia, the lush valleys of the Bosphorous, Turkey's drier south which was once Mesopotamia, and of course the magically bright turquoise coastlines with their peninsulas and rocky promontories covered in olive groves and pine outcrops. These are all spectacular settings in which to walk, ride or sail. Istanbul is an obvious place to start. Ancient and rich with cultural and historic treasures, this is the only city in the world which straddles two continents. It is truly one of the world's greatest cities. It's not just all old treasures though, as well as the bazaars and the Bosphorus, you can also cruise the most modern of bars and clubs. Cappadocia is another well known Turkish highlight, the wondrously lunar looking landscape with the villages of caves carved into the basalt. The rich volcanic soil was much competed over and the Christian inhabitants burrowed around 30 cities protectively underground, cutting into the rock and hollowing out their houses and around a thousand churches. This created a landscape of ‘fairly chimney’ pillars of eroded stone and cliffs crenelated like honeycomb. Ürgüp is one of Cappadocia's largest towns and its upmarket hotels and fine restaurants have given it the reputation for being one of the best places to stay in Turkey. It is also a good spot to explore this whole region from as you're right near Ortahisar where there's a castle, a monastery and a folk museum. Or there’s Göreme, so beautiful that it really does defy description. It's not entirely unspoilt, as a destination this beautiful is bound to attract visitors, but it somehow manages to retain the feeling of being a traditional village. Then there’s the spectacular Turkish Aegean Coastline. Gathered prettily around its harbour, Bodrum is just one popular beach town. Here the preferred method of travel is by sailboat or yacht and the most popular meals are made with the freshest bounty of the sea - served in the city’s nicest restaurants which line the coast. Bodrum gets more than a million visitors a year but retains a bougainvillea-shaded charm. Fethiye is another beach favourite. On a broad bay dotted with pretty islands, Fethiye has one of the most beautiful natural harbours on the Turkish Mediterranean coast. It's also within a short drive of two of Turkey's most beautiful beaches - Çal Beach and Ölüdeniz. For many people, Ephesus near Kusadasi, is the main reason to visit Turkey. This isn't just the best preserved classical city in the eastern Mediterranean, it's also a gladiator graveyard and home to some of the ancient world's most beautiful treasures. It is within a local bus journey of gorgeous Patara Beach, Kalkan has some gorgeous beaches of its own, including Kaputas Beach, plus it has more restaurants per square mile than anywhere else in Turkey. The area is well known and loved by divers and water sports enthusiasts. While you're down there you might want to consider strolling part of the Lycian Way, which stretches 500kms from Antalya to Fethiye. Historic Turkey is all around you, but this is especially apparent in Istanbul. The centre is littered with ancient relics. Fom Roman catacombs to Byzantine battlements to Ottoman palaces (many of which have been converted to hotels) and the graceful domes of mosques and Orthodox churches. The world famous Blue Mosque is a great starting point for exploring this rich heritage. The Hagia Sophia is an incredible museum that is a must for anyone interested in the city's history. And if you only see one or two of Istanbul’s palaces it should be Topkapi and/or Dolmabahçe. The labyrinthine Grand Bazaar encapsulates Istanbul's manic market life. Also look out for the wondrous Spice Bazaar. The Basilica of Saint John in Selcuk, close to Epheses, was built in the 4th-century and is the burial place of Saint John the Divine. Designed in the shape of a cross with six domes, it's a wonderful spot that's made all the better by a visit with a tour guide. If you're looking for opportunities to explore the interior, Saklikent Gorge is a great hiking spot close to Fethiye which is also the start of the Lycian Way. Take to the air over Ölüdeniz, and maybe over Cappadocia too? Cappadocia’s landscape is even more breathtaking from the air, when you're looking down on the 'fairy chimneys' - eroding volcanic pillars rising out of the land - and peach coloured gorges. The colours at sunset are really something special. Göreme ’s Open Air Museum is also deserving of your attention. With so many different aspects to this fascinating country there should not be a problem finding accommodation in the best places to stay in Turkey. The problem will be where to start. The Hotel Les Ottomans is a must for those who love over the top luxury. The pool terrace is lavish and the rooms make you feel like a Sultan or Sultana. In the heart of the historic Sultanahmet District, Sari Konak offers elegant and great value rooms, including triple suites for groups or families. Plus a roof terrace with fabulous views. 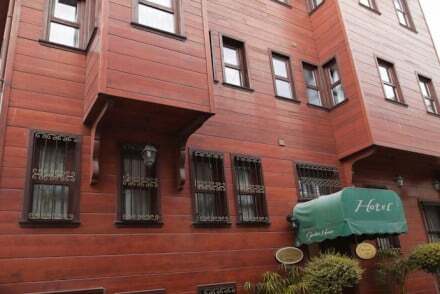 The Seven Hills Hotel boasts eighteen rooms and suites decorated in Ottoman style. The main draw is the incredible roof top restaurant with breathtaking views and great seafood. The Georges Hotel Galata focuses on elegant simplicity. Mixing high-quality design with laidback glamour, this hotel is a magnificent place to relax. Enjoy fantastic French cuisine and stunning views out over the city. Offering stylish self-contained rooms with kitchenettes, Ansen Suites is a great city centre option. Parquet floors, inventive modern design features and standalone baths all come together to create a edgy modern hotel. Caresse is a 5* beachfront resort located right on the Aegean Sea outside Bodrum. With plush contemporary suites, a wonderful spa and two excellent restaurants, it's a top-notch spot. Wonderfully romantic. The sleek Doria Hotel offers whitewashed rooms with parquet floors, the odd splash of colour, private balconies and stunning sea views. Located in Bitez, a few miles west of Bodrum, this seaside stay also has a luxurious spa to help you fully unwind. Naz Han is the one to book if you want to be near to Ephesus. 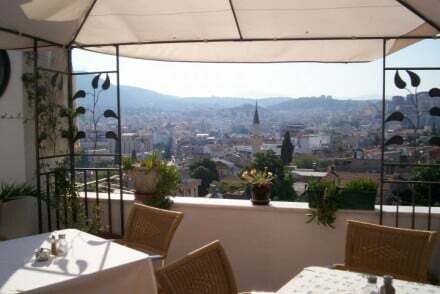 It's also right in the heart of Selcuk and has an excellent restaurant. 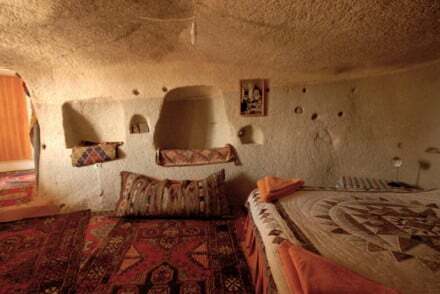 The Fairy Chimney Inn is one of the best places to stay in Cappadocia if you're looking for a traditional Turkish cave hotel experience. Rooms are decoratively sparse with wonderful rugs and local textiles. There are impressively carved fireplaces and many nooks and crannies. Some rooms sleep up to six, so this is also ideal for families. The gorgeous Kempinski Barbaros Bay outside Bodrum, has its own private sandy beach and marina. The private deck views are spectacular and it has seven restaurants and bars, plus a sybaritic spa. 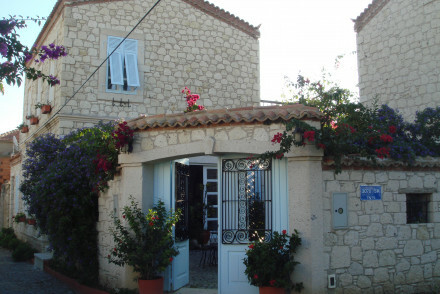 Book Villa Konak if you want an inexpensive, friendly, sunny base. There's a lovely high walled garden, a library of holiday left-behinds and the owners love a chat. About anything. It's only a few minutes from the harbour at Kusadasi. D Hotel enjoys a terrific location set amidst pine forests, volcanic mountains and right on the waterfront of the beautiful Datcha peninsula. Boasting chic and upmarket accommodation, this stylish spot offers access to no less than 5 private beaches! Plus, there are 6 restaurants to try as well as a spa to help you fully rejuvenate. 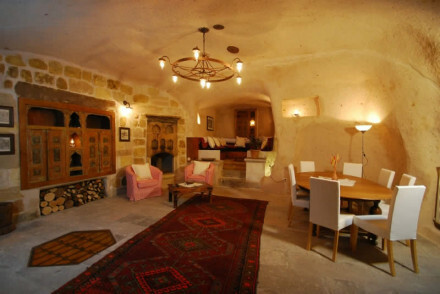 Markiz Konaklari is a traditional Turkish country house located in Sirince, 8km outside Selcuk. This rustic property offers traditional accommodation complete with four poster beds, stone walls and wooden beams. Relax in the lovely garden and enjoy the peaceful ambiance. The Museum Hotel in Cappadocia is an especially warm and magical cave hotel - probably because these are some of the most opulent caves you'll have ever see. With charming antiques, subtle lighting, large warm spaces and hot tubs. 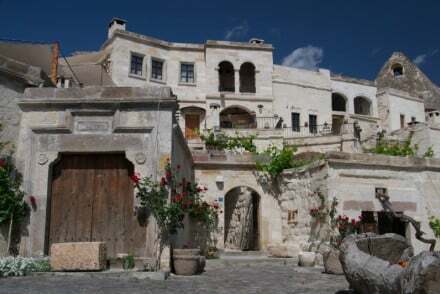 The Museum Hotel also has one of Cappadocia's best restaurants. The Deniz Feneri Lighthouse enjoys a wonderful location atop a peninsula overlooking the sea. Boasting incredibly chic private villas oozing understated class - complete with hot tubs and private pools - you can also tuck into first-rate cuisine from the restaurant. 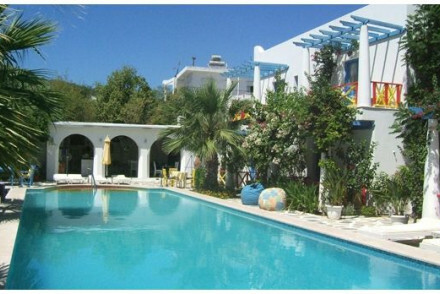 A lovely retreat close to Kalkan. Also in Kalkan, the Likya Gardens are perfect for a honeymoon. This luxurious boutique hotel right on the seafront offers guests private balconies with private pools, all the mod. cons. you might need and stylish white decor. What's more, you even have your own butler! The Villa Mandarin, perched on the cliffs with spectacular beach views over Fethiye, is perfect for walkers. It's an eight room country house with plenty of charm, sea views from private balconies and gourmet Turkish food. If you plan to explore the Lycian Way they have special weeks with guided walks during April, May and October. The Kamarca House Hotel is a woodland hideaway owned by a chef, located just outside the resort of Dalaman. Inside antiques and contemporary furniture complement each other and whirlpool baths have been fitted as standard, outside there’s a lovely pool and terrace restaurant. The Golden Key Bordubet outside Marmaris, is surrounded by wetlands and forests which are home to many birds. There are 22 light, modern, country-style rooms with balconies overlooking the river or the forest. There’s a restaurant on site, plus a bar, pool, tennis courts and a spa. Istanbul’s Atatürk International Airport is Turkey’s main point of entry, but you can also fly to Ankara Esenbo?a Airport, which might be useful to you if you’re heading to one of the Mediterranean resorts. Some charter and low-cost airlines use Sabiha Gökçen Airport, which is about 50kms east of Istanbul. Unfortunately you can’t arrive in Istanbul on the Orient Express anymore, but you can still arrive by train if that’s your preference, with the most obvious option being the TransBalkan from Budapest via Bucharest. If you wish to hire a car we recommend you visit our online partner Rentalcars. To say that Turkey’s climate is varied is an understatement. The Aegean and Mediterranean coastlines have a typically Mediterranean climate, with hot, sunny summers and mild, rainy winters. The Black Sea region is protected by the Caucasus Mountains and is the rainiest part of the country, but also very warm and humid. Around Istanbul the climate is something in between with warm summers where showers last for short periods, and winters are cold. Or the best places to stay on the Turkish Aegean Coast? Recently renovated in modern Turkish design and an unbeatable location. Superb rooftop bar-terrace where fantastic sea views can be enjoyed. Well designed uncluttered rooms with wall-hung killim rugs and traditional colours. An excellent base for exploring and reasonable rates too. Value chic - Very reasonable rates for beautiful hotel with interiors by French designer Dan Beranger, right in the heart of the old city. Sights nearby - Just a few steps from the Old City's main monuments including the Blue Mosque and Hagia Sophia. Local markets - Spend your day haggling for goodies at the nearby Grand Bazaar. A friendly oasis offering four-star comfort in the heart of the old town. 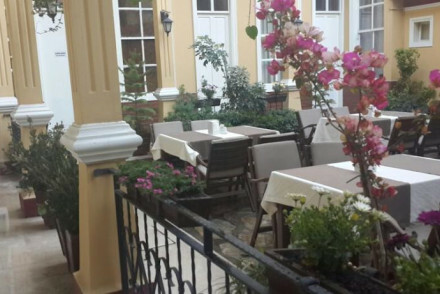 Enjoy breakfast in the lovely garden courtyard and al fresco dining in the Turkish restaurant. Elegant rooms feature polished wood floors, kilims and wooden furniture. A real steal in a great location. Romantic Break - This 19th century Ottoman Mansion is ideal for a romantic getaway, with luxorious rooms and a charming leafy garden. Local markets - Get lost in the nearby Grand Bazaar, an ideal spot for picking up bargains to bring home. 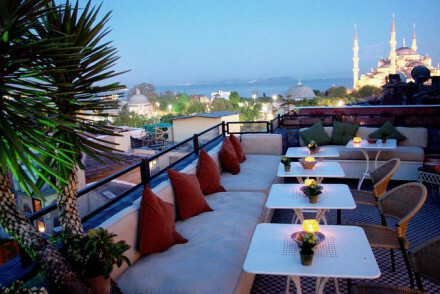 Sights nearby - This central hotel is just five minutes from Hagia Sophia and the majestic Blue Mosque. Friendly, owner-run guesthouse with rooftop bar, hidden away in a maze of alleys above the harbour. Stunning views from the rooftop over the city. Simple, comfortable rooms with traditional furniture are light and airy. Indulgent local breakfasts. Well priced and located for local exploring. Value chic - A well priced small hotel with stunning city views within walking distance of the port and beaches. Sights nearby - Just a 20 minute drive from the ruins of Ephesus. Designer style and comfort at an affordable price. A small peaceful oasis in a quiet cul-de-sac. The bright white walls of the 'cubist' complex of rooms, suites with kitchenettes, and two-bedroom apartments surround a lovely swimming pool. A secluded choice for families and groups. Families - This reasonably priced and chic reosrt is ideal for families with lovely gardens and and close proximity to the beach. Sailing - Take a day trip round the Aegean on a wooden Gulet, perfect for a family activity or a romantic trip. Sights nearby - Close to the Antique Theatre and the Crusader Castle. A contemporary seaside hotel just outside Bodrum. Spacious rooms simply decorated. Lovely garden and pool. Walking distance to beaches and restaurants. A great value spot for a no frills beach holiday. 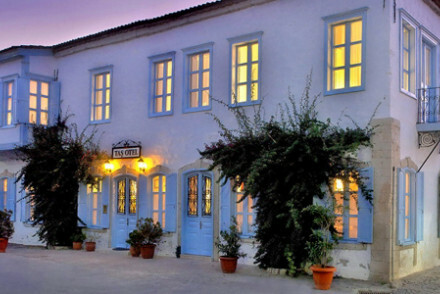 A charming boutique hotel. Traditional elements combined with contemporary chic. Lovely white washed rooms with four poster beds and parquet floors. A quaint inner courtyard garden and breakfast room. Easy access to beaches, and good value. A gorgeous country style house come rustic chic guesthouse. Romantic bedrooms with creamy furnishings and white washed walls. Lovely pool, garden and breakfast terrace. Close to the beach and lots to do in the area. A romantic spot. Restrictions on children - Over 12s welcome.